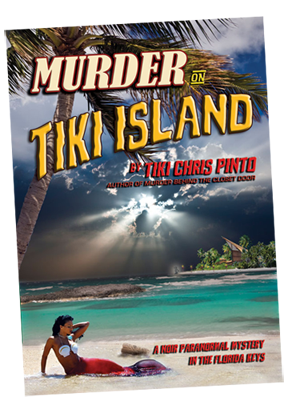 If you’re in South Florida this Wednesday, be sure to stop by The Mai Kai in Fort Lauderdale and meet yours truly, Tiki Chris P. and Hawaii’s own Everett Peacock for our first book signing together! It’s a rare treat to team up with Everett Peacock, author of the Parrot Talks series and other Hawaiian tales of fiction. 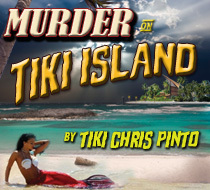 I will be selling and signing paperback copies of the Tiki world’s official murder mystery, Murder on Tiki Island, along with my Wildwood Murder mystery Murder Behind the Closet Door, while Everett’s books will include The Parrot Talks in Chocolate, In the Middle of the World’s Most Wonderful of Oceans, Tiwaka Goes To Waikiki and Death by Facebook. 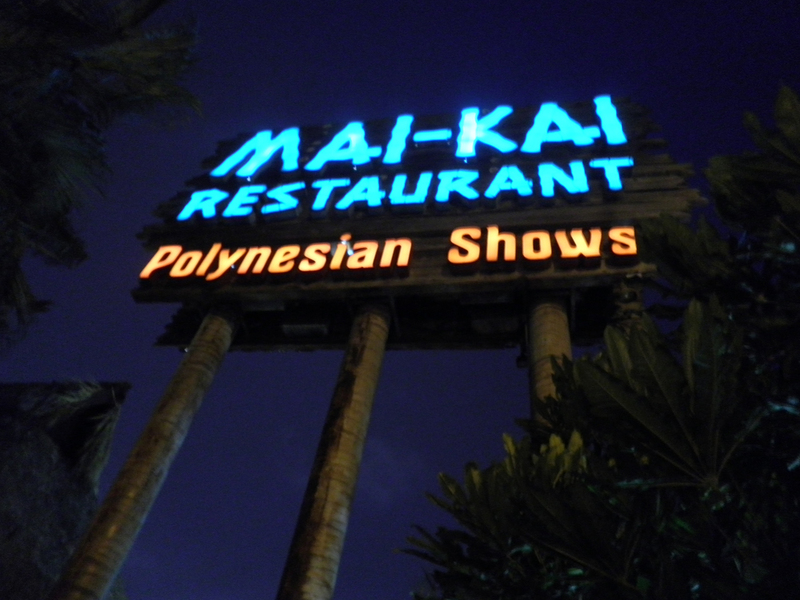 The Mai Kai is the world’s most famous, oldest-standing, unchanged and theerfore koolest original mid-century Tiki bar in the world. Built in 1956, it just celebrated its 55th anniversary as the Tiki world’s Mecca. Millions of people have made the pilgrimage to Fort Lauderdale, FL to pay tribute to this temple of Tiki, and have done so by imbibing strong, vintage-style tropical drinks, enjoying incredible exotic foods, watching the authentic hula dancers and ending the evening off with a trinket from the gift shop. 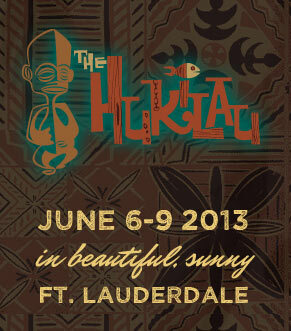 Now, that gift shop includes works from today’s Tiki artists from all over the world. 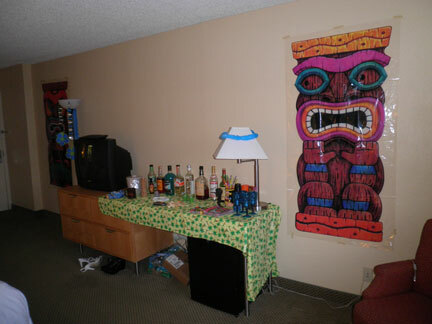 The newest addition is a collection of Tiki-related books, including those groovy tomes mentioned above. Everett Peacock lives on the island of Maui, in the state of Hawaii, USA. 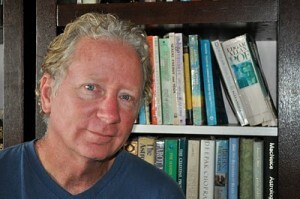 His books have delighted thousands of people, telling tales of the Hawaiian Islands and their interesting inhabitants. His works range from the very lighthearted and uplifting The Parrot Talks in Chocolate, to the spooky paranormal mystery Death by Facebook. All of his works transcend our everyday existence, blending the metaphysical with human reality. 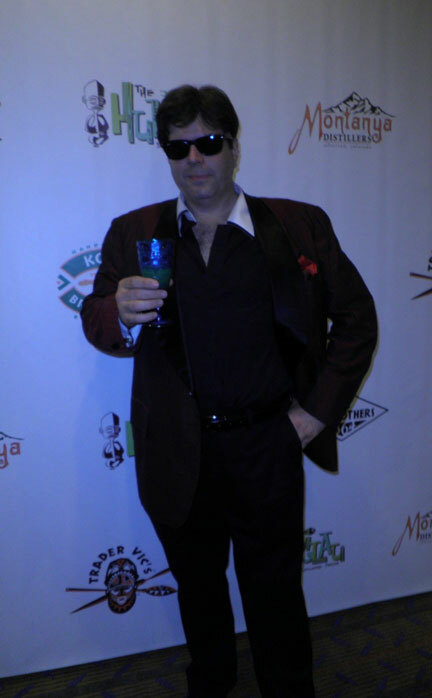 His books consistently achieve five-star reviews on many book review sites…and I personally recommend them to anyone who digs Tiki, Hawaii, parrots or cocktails served in coconuts. 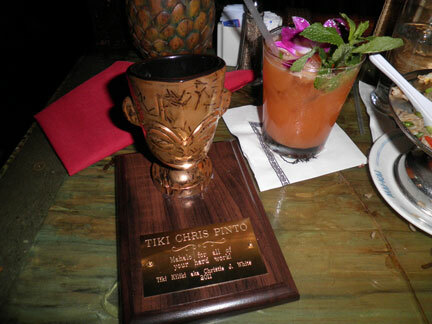 I, Tiki Chris Pinto, live down here in sunny South Florida with my wife Colleen, just a few miles west of the sparkling beaches of Fort Lauderdale and the rum-soaked delights of the Mai Kai. 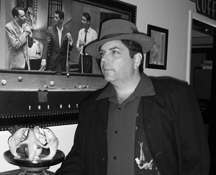 I’ve been writing since I was a kid, and my successes included several murder mystery stage plays, the 5-star rated novels Murder Behind the Closet Door and Murder on Tiki Island, and a collection of flash fiction entitled A Flash of Noir. 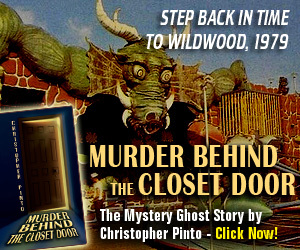 Murder Under The Boards: The Atlantic City Murder Mystery is the novel that’s currently in the works, and will feature my recurring paranormal mystery theme along with my recurring flawed protagonist, Detective Bill Riggins. (For those of you who dig books by Stephen King and Mickey Spillane, you’ll flip for these titles). Both Everett and I will have several books on hand for sale, and will also sign copies of books you’ve already purchased. Hell, we’ll even sign books we didn’t write. Why not! 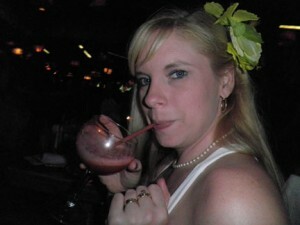 Hope to see some of you kool kats and kittens at the Mai Kai tonight! All of our books can be found on Amazon.com, in print and for Kindle, and for Nook. For more info visit StarDustMysteries.com. -Tiki Chris P., reporting from the Molokai bar. 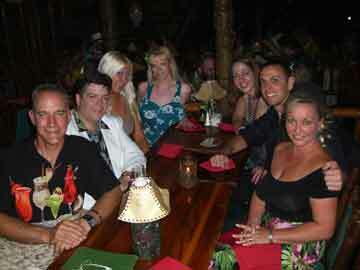 Huge 55th Anniversary Party at the Mai Kai Wednesday Night! If all goes well yours truly will be there, probably around 7 or 8. I’ll tweet when I’m there so if you make it to the shindig we can get together for a cocktail! 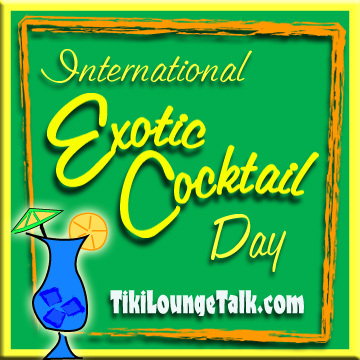 -Tiki Chris, reporting from US 1 & Oakland Park Blvd in Fort Lauderdale, FL.